Welcome to peace and tranquility in your private villa! La Villa Rouge is part of the Sai Taan (or Banyan and Palm Tree in Thai) complex. La Villa Rouge is a luxury villa with four bedrooms, a separate lounge, dining room, spacious kitchen and servants’ quarters. 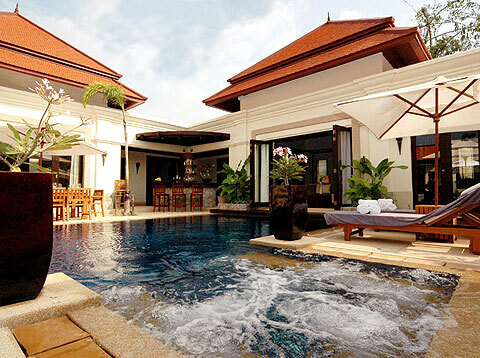 The villa has a 10 metre private swimming pool, outdoor master bathroom, pool side sala, and outside bar area. The main attraction of La Villa Rouge is its complete privacy. Once you have walked through the main gate and closed it behind you, you begin your holiday of a lifetime. to Downtown : 5 -minute walk to downtown Laguna Complex.